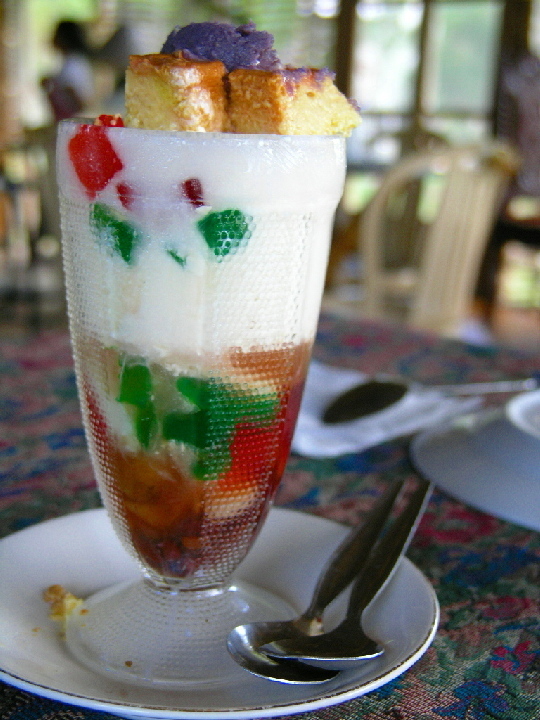 During summer time in the Philippines, the number one food that every single Filipinos crave for is Halo-halo. Halo-halo is from a Tagalog word “halo”, which means mix. Though widely available throughout the year as a dessert, it earned its fame that quenches the summer heat. Halo-halo is a mixture of shaved ice and evaporated milk with various fruits and boiled sweet beans added and served in a tall glass or a bowl. In your tall glass of halo-halo, you’ll have the following ingredients; boiled kidney beans, garbanzos, sugar palm fruit (kaong), Saba banana caramelized in sugar, jackfruit (langka), coconut sport (macapuno), gulaman (gelatin), tapioca, nata de coco and sweet potato (kamote). All the fruits and sweet beans placed first then sugar comes next, followed by the shaved iced. Usually topped with leche flan and purple yam (ube) or added scoop of ice cream for a different version. Then, evaporated milk is poured in upon serving and pounded crushed young rice (pinipig) as an extra topping. 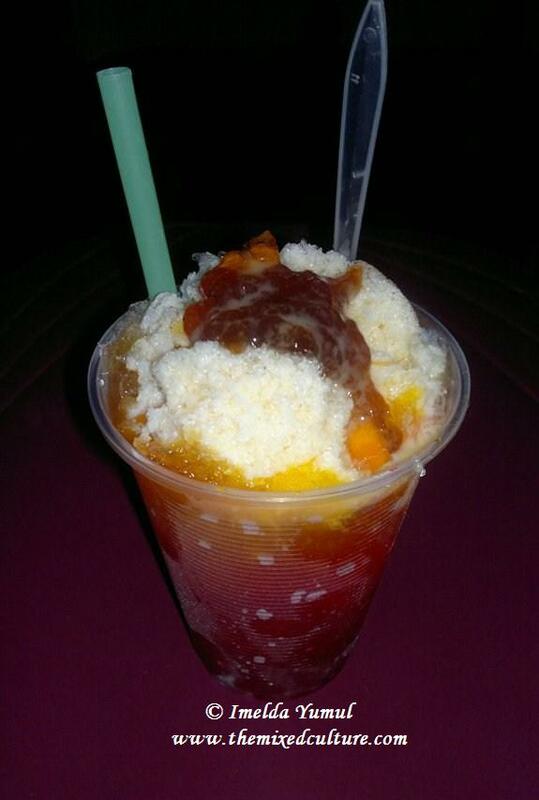 Now, on the other side of the world, Guatemala, there is a refreshment called granizada that resembles closed to halo-halo. Though the ingredients are less compared to halo-halo, granizada also can beat your thirst during hot summer days. It also comes with fruit tidbits normally with banana, papaya, pineapple and sweetened tamarind. The shaved ice goes in first then fruit tidbits afterwards. Fruit syrup poured in and topped with condensed milk and more sweetened tamarind. Halo-halo and granizada, refreshments from two different countries that will surely quench your thirst and will leave you ask for more. Previous Previous post: Halo-halo y Granizada, usted va a pedir más!